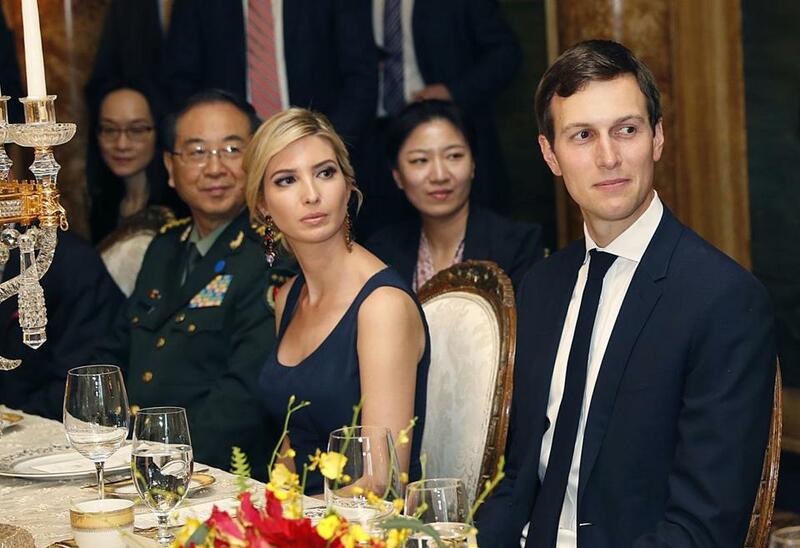 Ivanka Trump sat with her husband, Jared Kushner, at a dinner with President Trump and Chinese President Xi Jinping at Mar-a-Lago on April 6. ‘‘Put the business on hold and stop trying to get trademarks while you’re in government,’’ advised Richard Painter, who served as chief White House ethics lawyer under George W. Bush. ‘‘In between, you have to assess it case-by-case,’’ she said. The brand itself claims revenues rose 21 percent last year, with early February seeing some of the ‘‘best performance ever,’’ according to a statement by Abigail Klem, president of the Ivanka Trump brand. Because it is privately held, the brand does not have to declare its earnings or where revenues come from. The actual corporate structure of Trump’s retail business remains opaque. Kushner’s financial disclosure form lists two dozen corporate entities that appear directly related to his wife’s brand. Trump herself has yet to file a disclosure. The number of Ivanka Trump items sold through Lyst was 46 percent higher the month her father was elected president than in November 2015. Sales spiked 771 percent in February over the same month last year, after White House counselor Kellyanne Conway exhorted Fox viewers to ‘‘Go buy Ivanka’s stuff.’’ Conway was later reprimanded. The bounce appears somewhat sustained. March sales on Lyst were up 262 percent over the same period last year. ‘‘You can’t separate Ivanka from her role in life and from her business,’’ said Allen Adamson, founder of BrandSimpleConsulting. ‘‘Her celebrity status is now not only being fueled by her wealth and her family connection, but by her huge role in the White House. All that buzz is hardwired to her products.’’ That, he added, is a competitive advantage other brands just can’t match — though it does come with risk. Associated Press reporter Catherine Lucey in Washington, researcher Fu Ting in Shanghai, and reporters Danica Coto in San Juan, Puerto Rico, Teresa Cerojano in Manila and Elaine Kurtenbach in Tokyo contributed to this report.